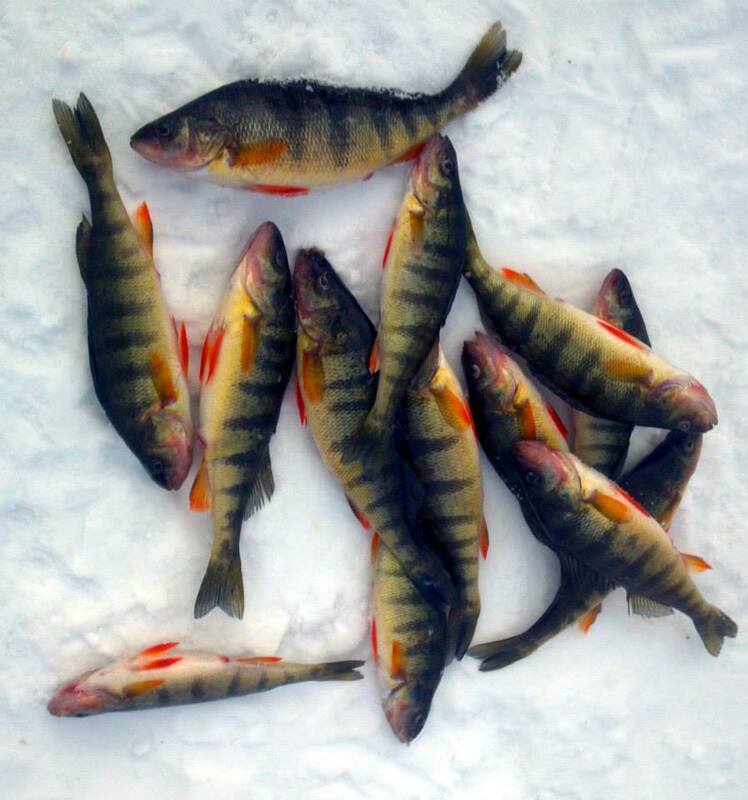 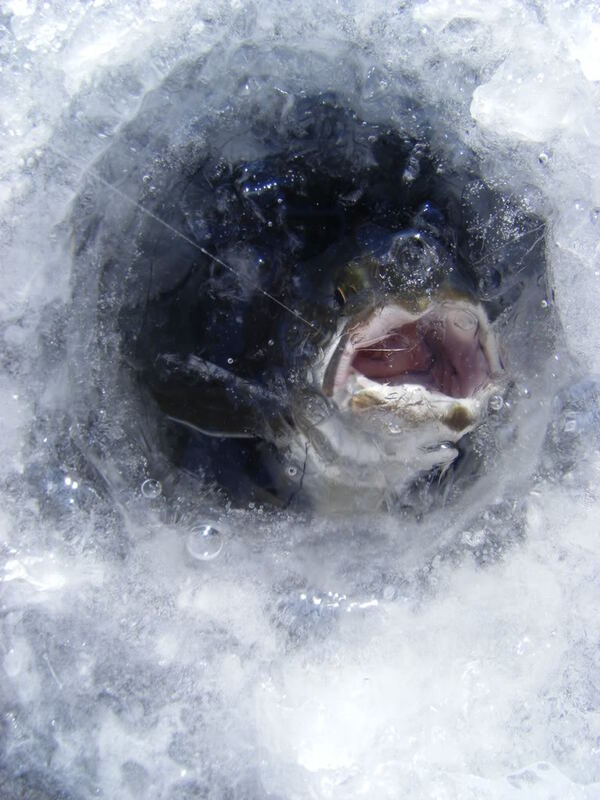 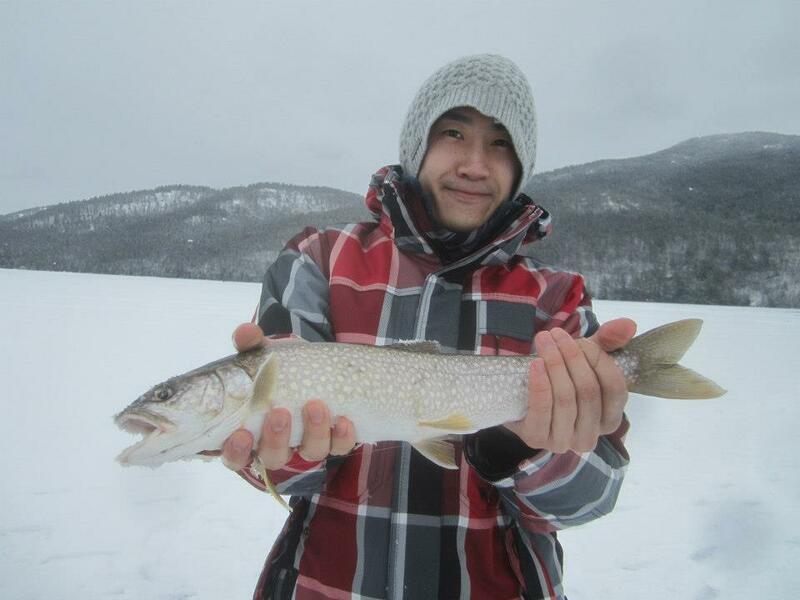 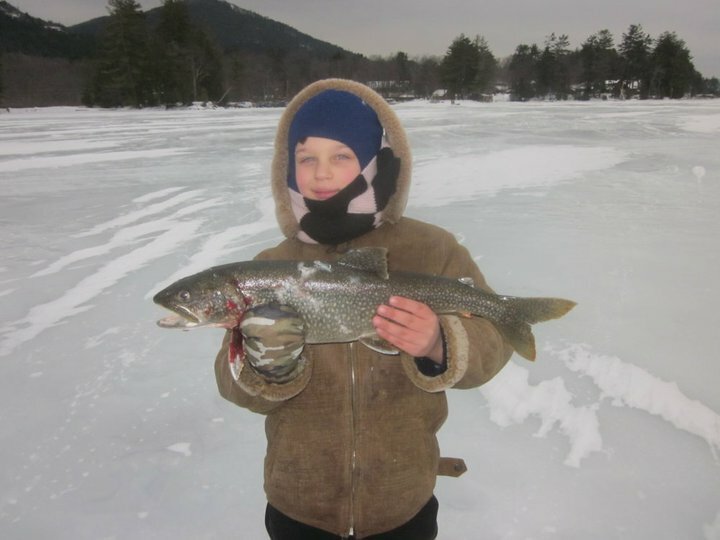 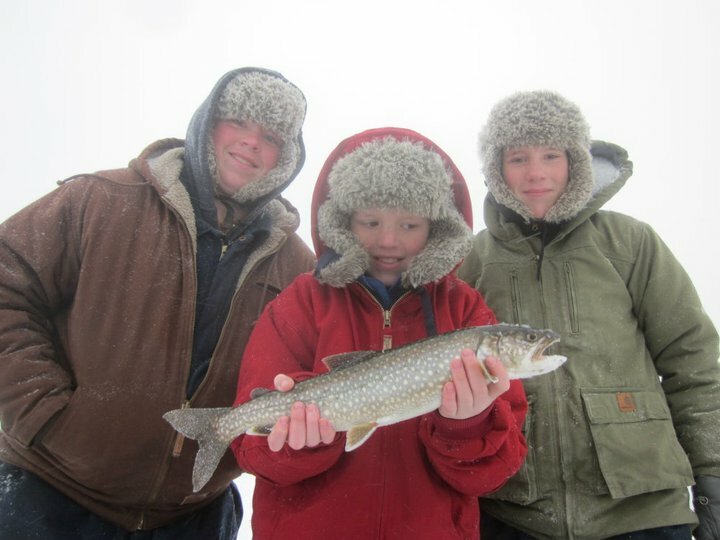 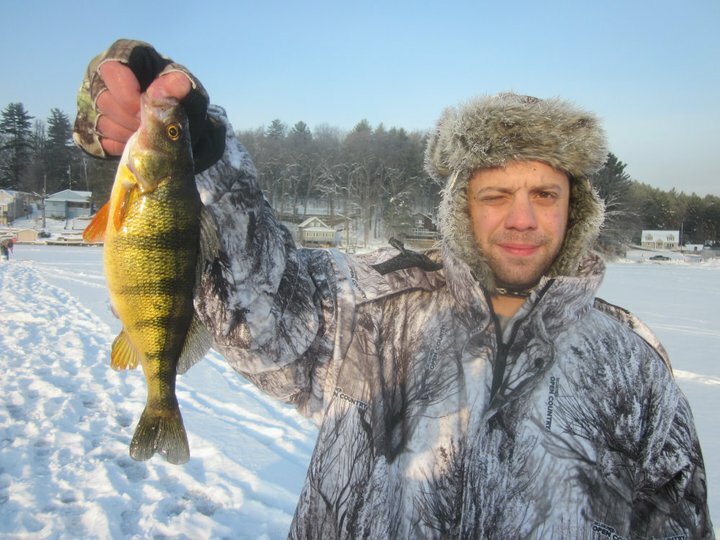 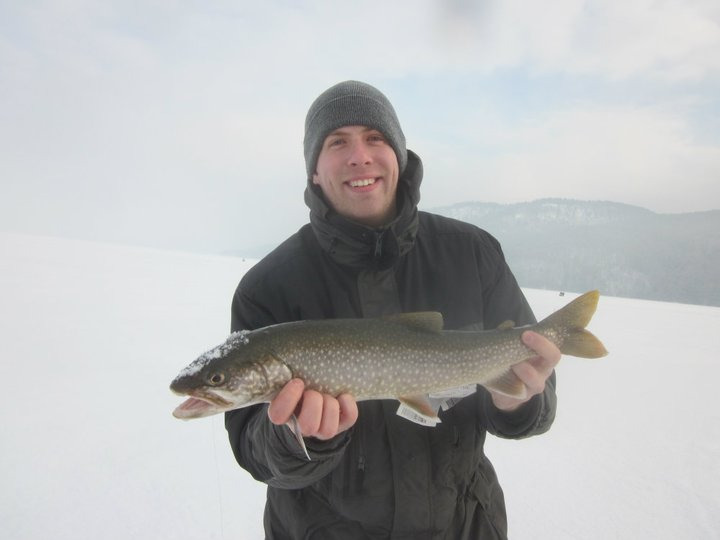 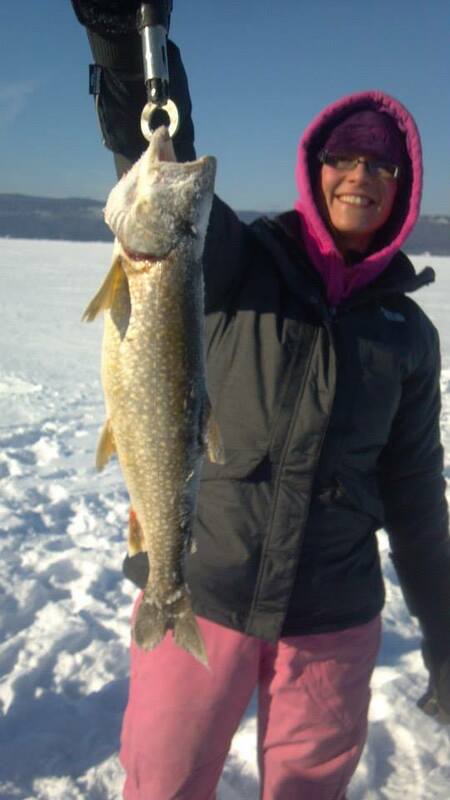 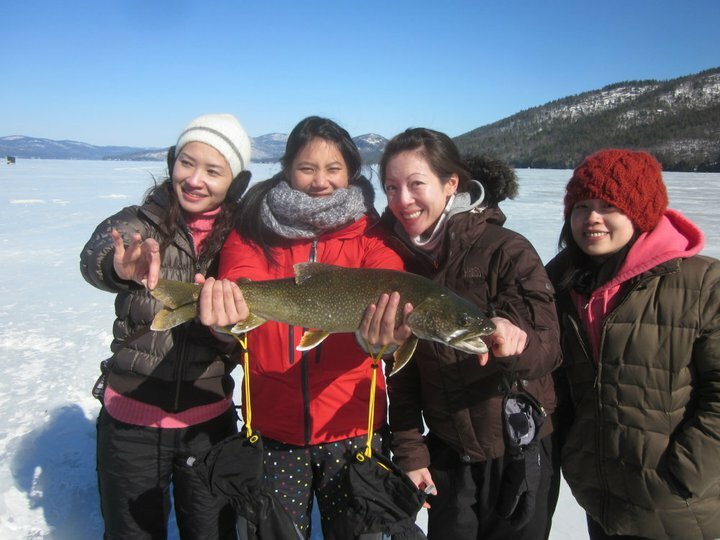 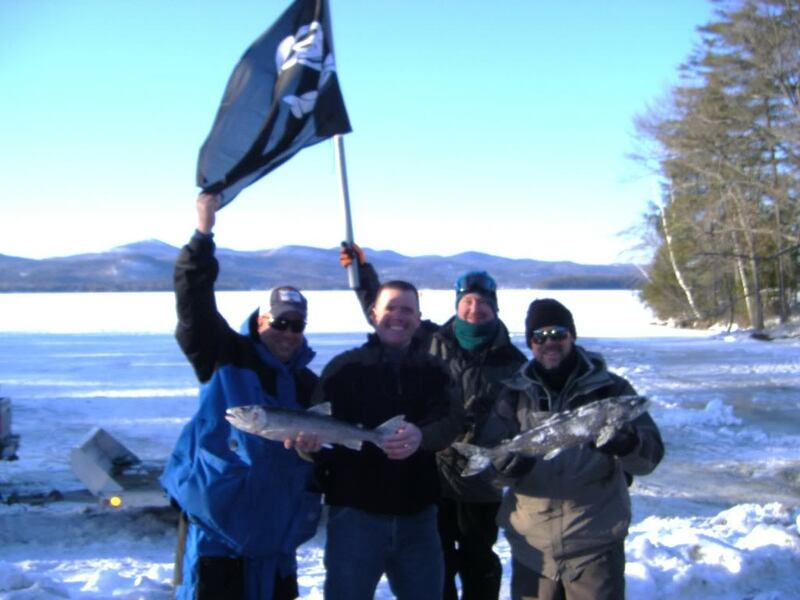 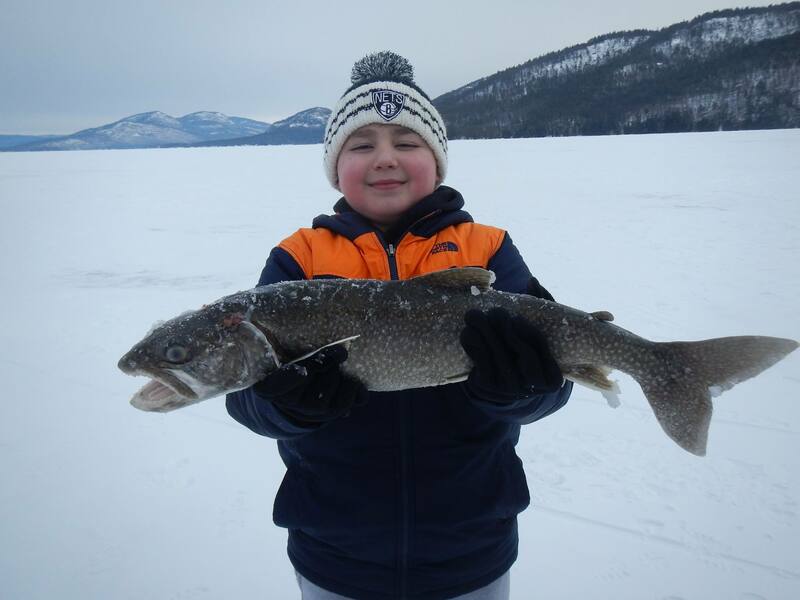 Our ice fishing trips offer one of the north country's most exciting sports in outdoor winter recreation. 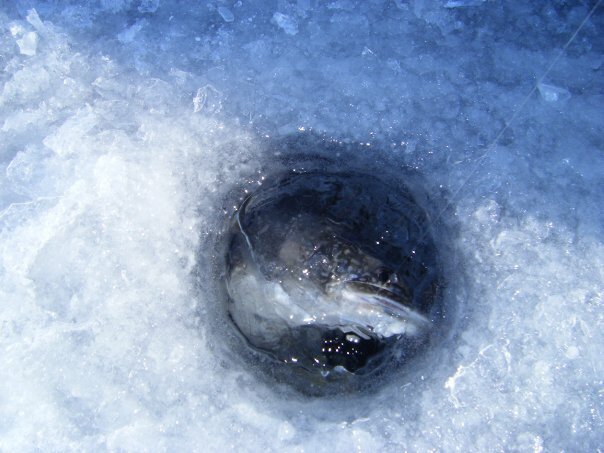 The thrill of pulling a giant trout or salmon through a hole cut in the ice is an unforgettable experience. 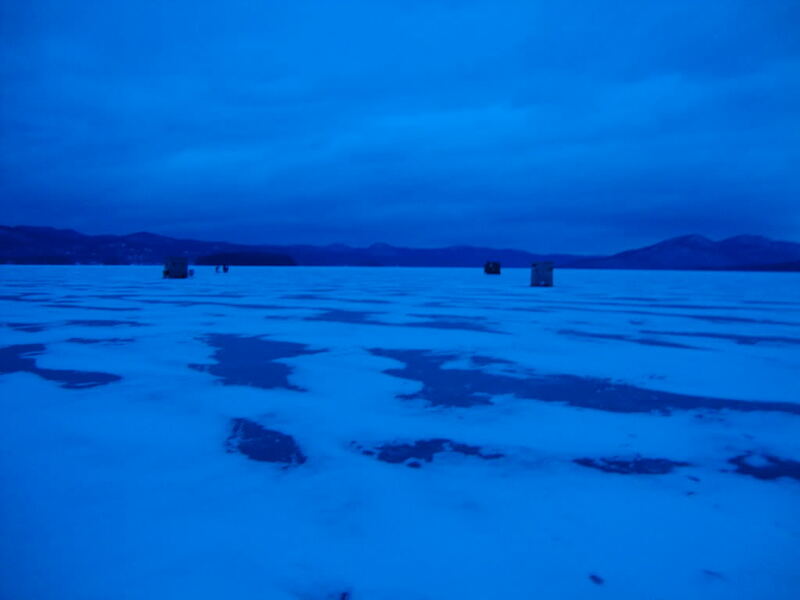 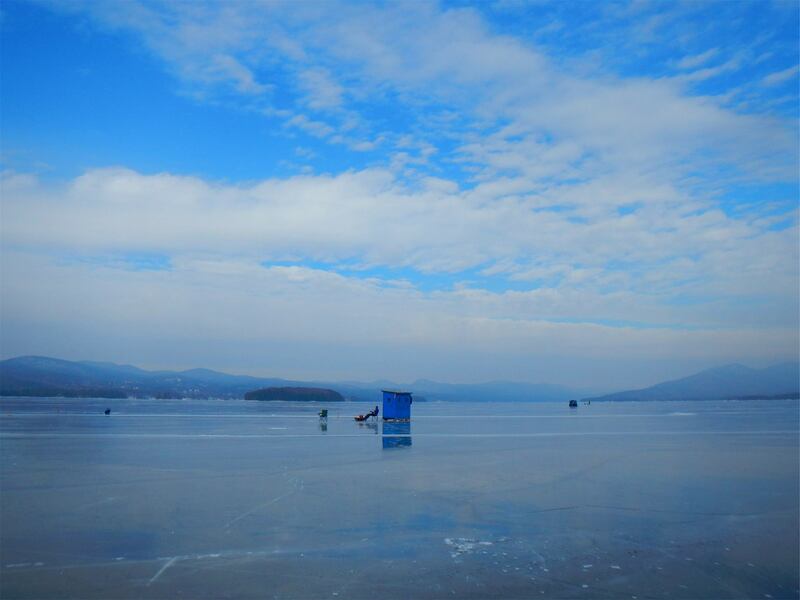 To really appreciate Lake George, one has but to stand on her frozen surface and capture the beauty of the surrounding snowcapped mountains under a winter blue sky. 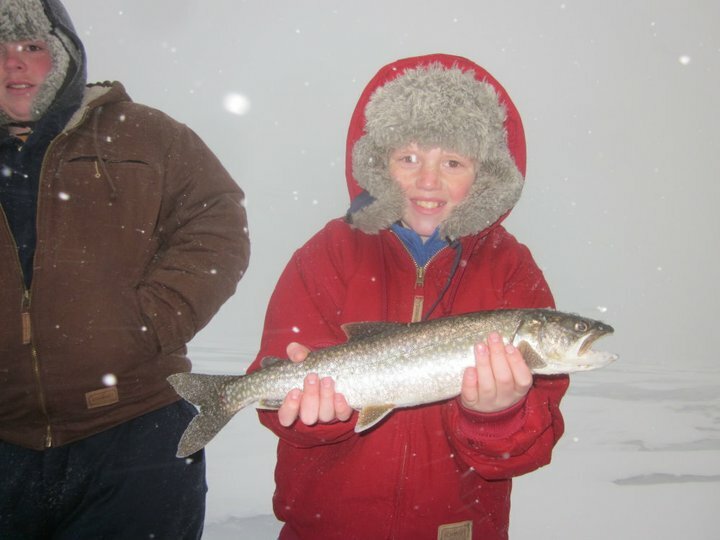 Combine the beauty of your surroundings with the adreneline rush of a 20 pound lake Trout and you will find out why ice fishing has become wintertimes' most popular sport. 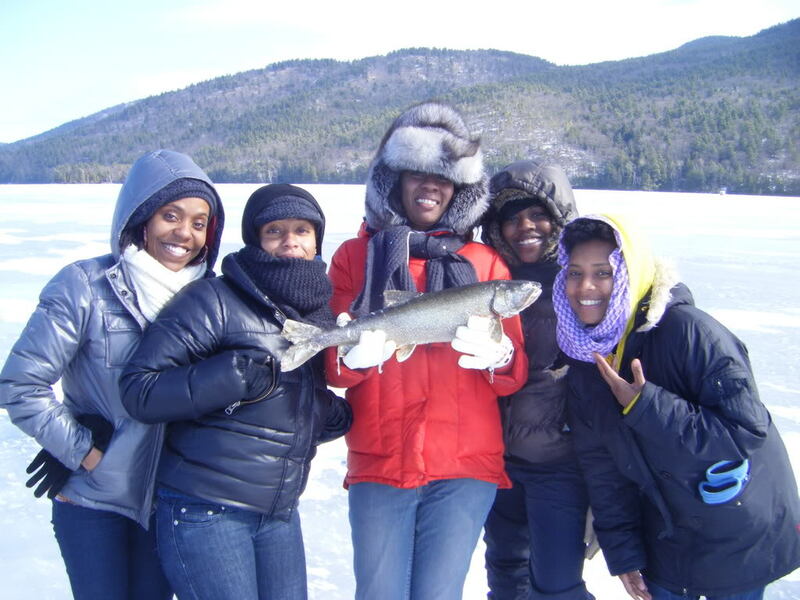 We offer a comfortable and relaxing trip that all ages can enjoy so join us for a great time! 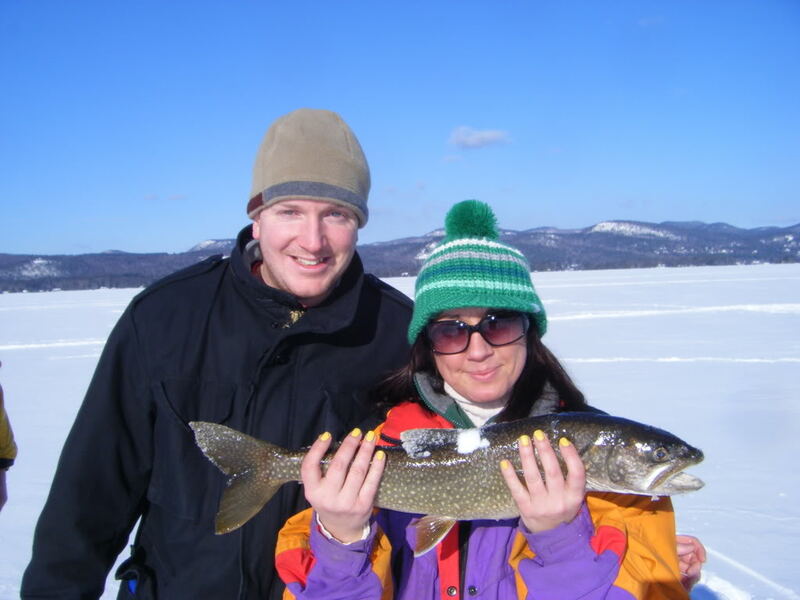 Lockhart Guide Service provides everything you will need to catch fish and stay comfortable. 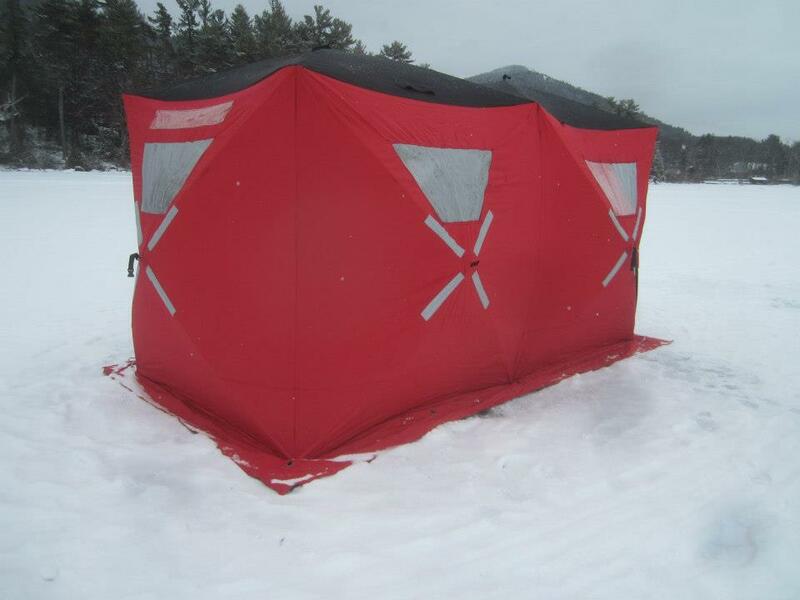 Our heated shanties keep you warm while you jig for Lake Trout and Salmon. 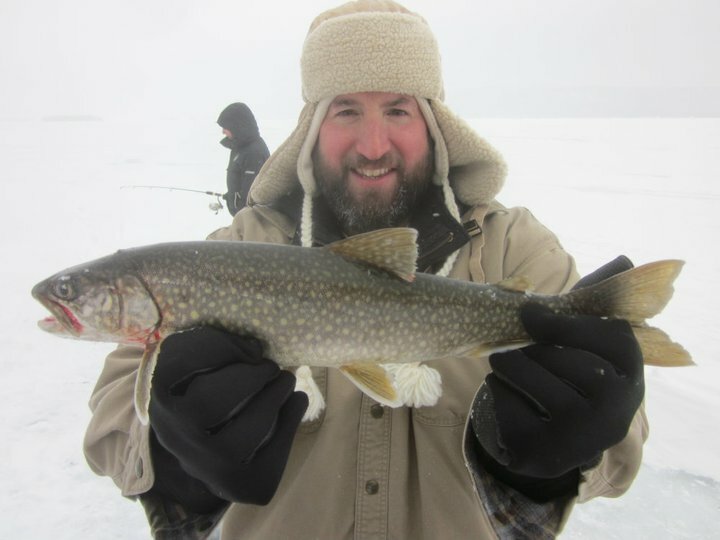 Your guide will drill the holes, provide instruction on methods that work and set you up on some spots that always produce fish. 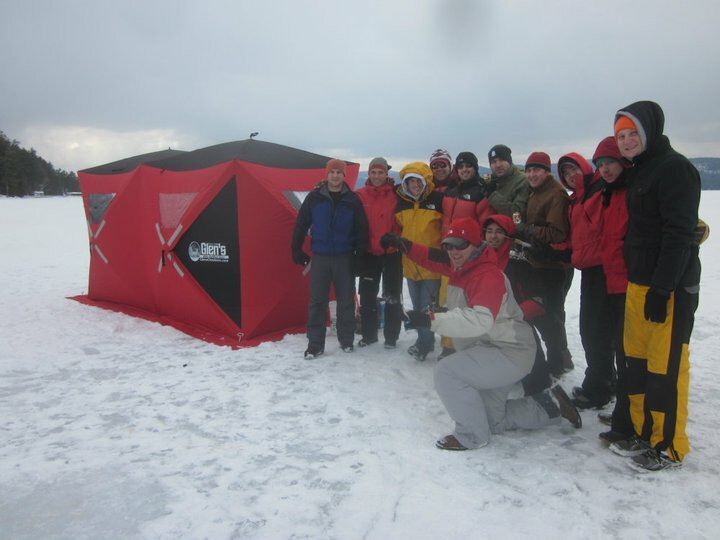 From one person or a party of a dozen, we can show you a great time at an affordable rate. 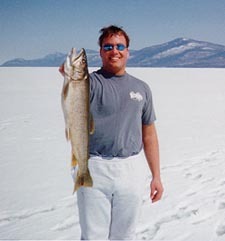 We mainly fish the Lake Trout and Salmon but the Yellow Perch and Northern Pike fishing can also be enjoyed. 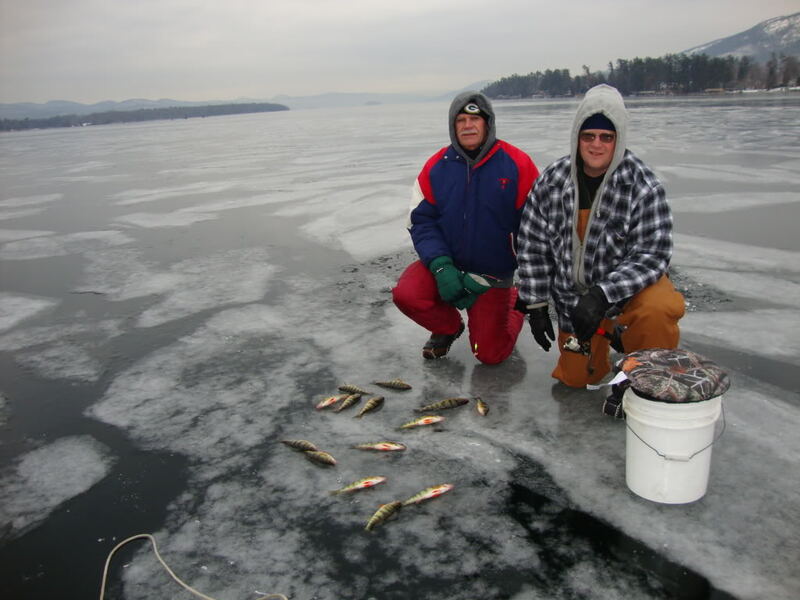 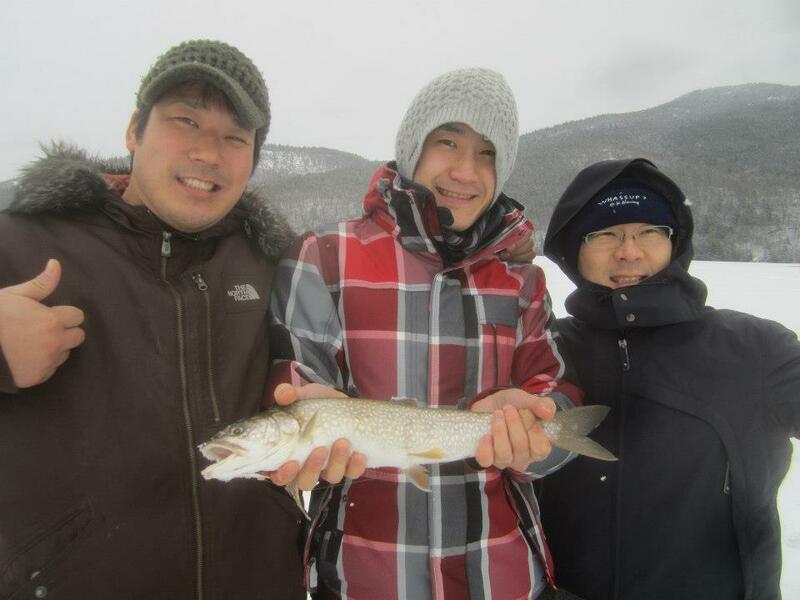 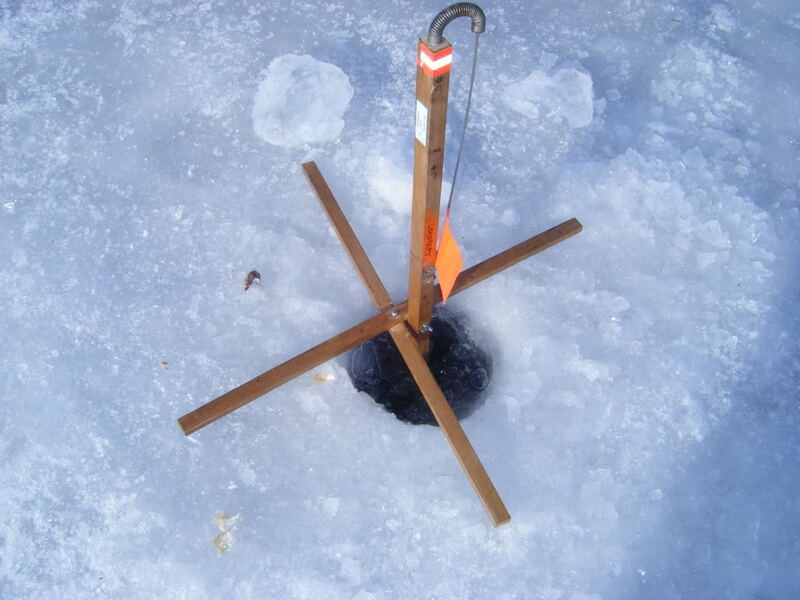 During your trip, your guide will instruct you on methods of ice fishing that will work on any lake. 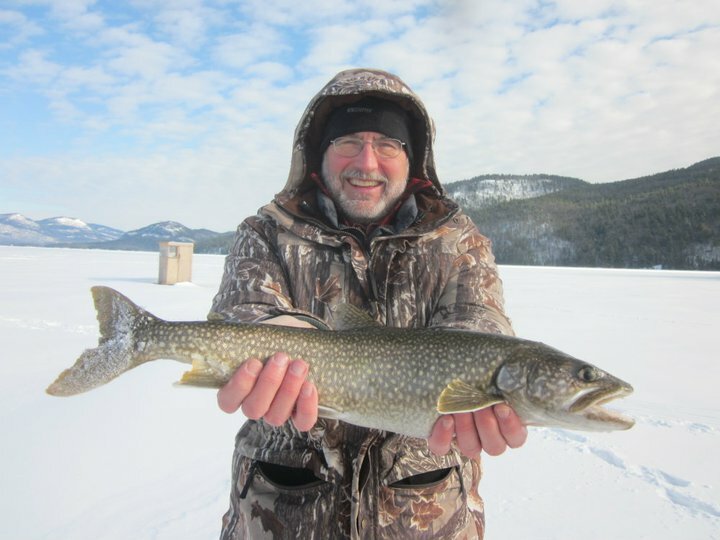 How to set up your tip ups for optimum results, lure types and jigging methods are important for success on Lake George. 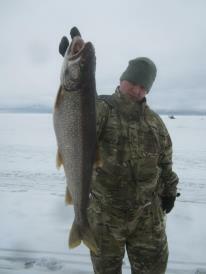 The lake has twenty inches of ice and the fishing has been very good for Lake Trout using swedish Pimples and Buckshot lures. 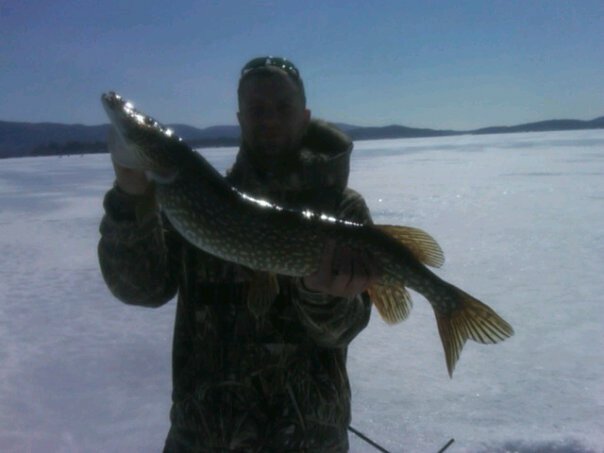 Most of the lakers caught have been on tip-ups with suckers or minnows on as live bait. 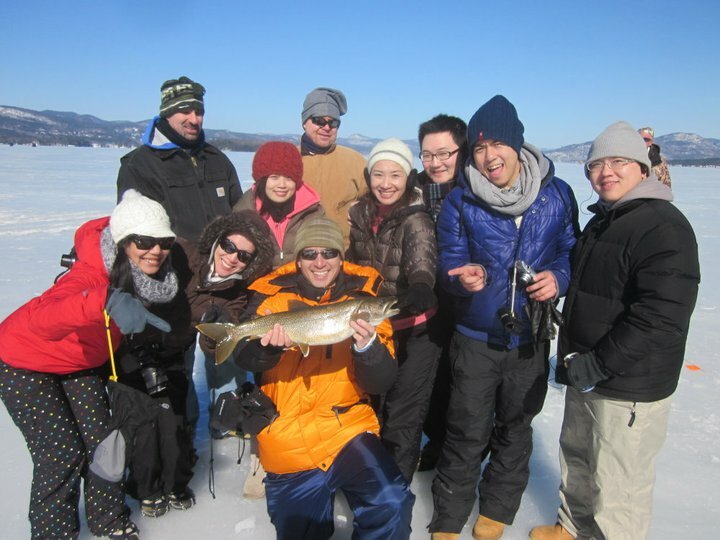 A group of Six or more will have two or more guides to better assist each person. 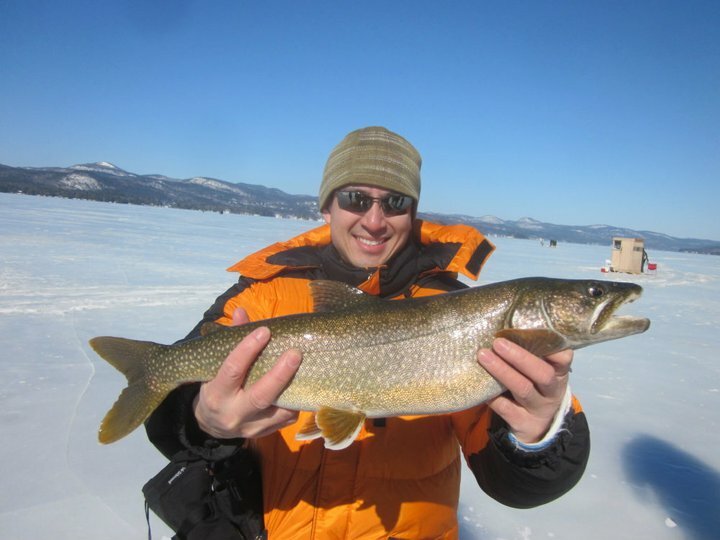 Our pro guides are full time professional guides and your tips are important to them. 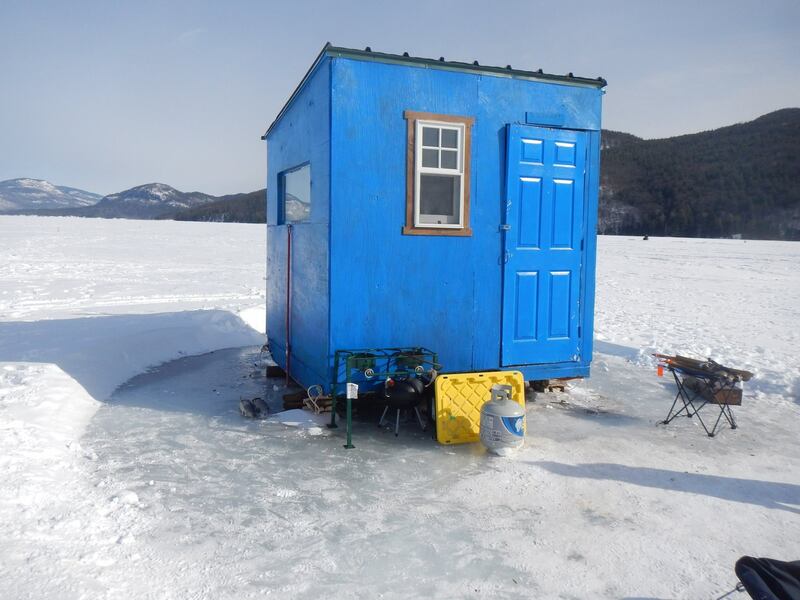 Tips help offset the ever rising cost of materials, maintenance and to allow them the opportunity to fish full time and provide you with top of the line equipment and services. 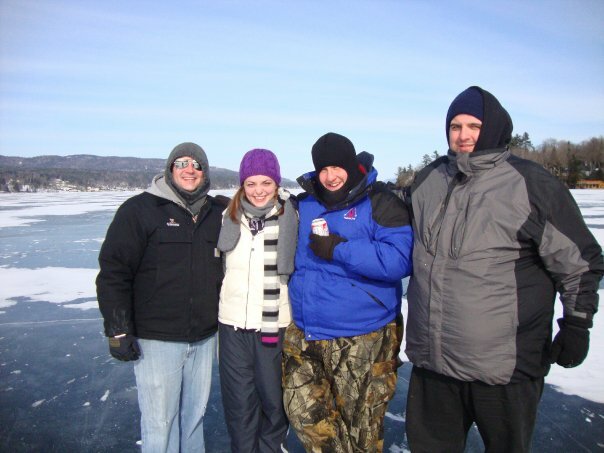 Without them none of this would be possible.